Return to Website > Index > General > Bible Prophecy PreWrath Articles > What Is the Prewrath Rapture? What Is the Prewrath Rapture? Putting these together, the prewrath rapture position holds that the rapture occurs at Jesus' bodily return as described in Matthew 24:29-31. Where, in the order of end-times events does this occur? The prewrath view holds that the triple sign of sun, moon, and stars described in Matt. 24:29 is unique in prophetic history. It occurs only once. We see this sign again in Rev. 6:12-13 - the sixth seal. The term "prewrath view" arises because scripture teaches that God's wrath is contained in the Day of the Lord (Zeph. 1:14-18, Isaiah 13:6-13, et. al). 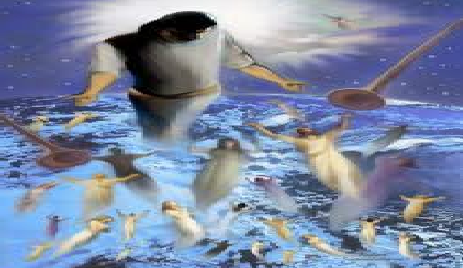 According to Joel 2:31, the Day of the Lord begins immediately after the sixth seal. Therefore, the return of Christ and the rapture of the Church occurs immediately before God's wrath as contained in the Day of the Lord. Hence "the prewrath rapture." The prewrath view also holds that the seals, trumpets, and bowls occur in succession -- first the seals, then the trumpets, then the bowls. Because the abomination of desolation occurs at the midpoint of Daniel's 70th Week (often mistakenly called "the Tribulation"), this places Jesus' return sometime after the midpoint of the 70th Week (or halfway through the Tribulation), and after the start of the great tribulation, but before the end of the 70th Week. This is why it's so important to distinguish the foundational pillars of rapture doctrines from secondary beliefs. This enables believers to readily distinguish between different doctrines and evaluate their core teachings against scripture without being distracted by tangential issues.